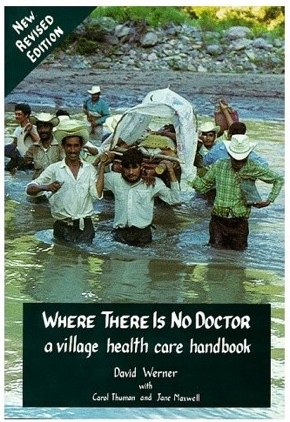 Where There Is No Doctor: A village health care handbook is published by the non-profit Hesperian Health Guides, and is the most widely used health book in the world. It provides medically accurate knowledge in a culturally appropriate way to address community health needs in places where professional medical care is scarce. Today, Where There Is No Doctor has been translated into 80 languages, largely at the initiative of volunteers and other non-profit organizations. Health care is not only everyone’s right, but everyone’s responsibility. Ordinary people provided with clear, simple information can prevent and treat most common health problems in their own homes—earlier, cheaper, and often better than can doctors. The 600-page manual addresses a wide range of primary health care topics, including nutrition and preventative care, first aid, common diseases, and maternal and child health. In addition to specific chapters on skin, eye, and dental conditions, the book also explains the use of modern medicine (particularly in the context of traditional remedies and beliefs, and home cures), including dosages, usages, and precautions for medicines. Where There Is No Doctor, a book written by biologist and public health worker David Werner, is widely considered by the World Health Organization (WHO), United Nations Children’s Fund (UNICEF), anthropologists, the Peace Corps, missionaries, and travel advisors to be the authority on medical care delivered under conditions in which physicians are not available. 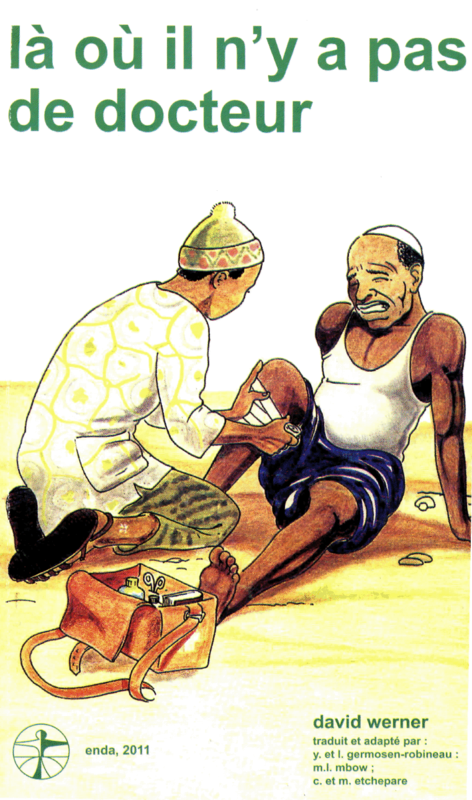 A community health worker may find a single copy of Where There is No Doctor, adapted and written in the local language, more useful than access to thousands of international journals.